Regardless of whether you have a large business or a small one, wouldn't it be nice to save some money on everyday items? The problem is, how are you going to do that with the cost of products and services constantly on the rise? The answer is simple. You can save a lot of money by cutting costs on your printing and copying needs. How can you do that, though? 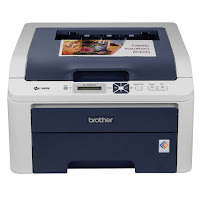 Instead of going through the hassle of driving to town to the big-ticket printing store and buying your laser toners and ink cartridges, buy them online from a discount store. Online discount printer ink stores can save you hundreds of dollars on your ink and toner needs, through their ability to purchase directly from the manufacturer in massive quantities. This gives the online company an enormous discount that is then passed on to you in savings, without sacrificing quality. All of the printer and toner cartridges that you may need are sold exclusively on the internet, dropping overhead costs for that company. All of these savings are handed on to you. But it gets even better. The best ink and cartridge companies will send you your cartridges at not only the best price imaginable, but also completely sales tax free, except in CA. This means the absolute best prices on all your printing and copying needs. Just as an example, say you need new cyan, yellow, magenta and black 3040CN toner for your Brother printer. This set of four colors in a retail store would cost you nearly $290, and that's before you would have to pay sales tax. If you were to purchase this same set of four toners online, you could buy them for only $148. That is a huge savings of over $140, and it is a product that you must have for your business. The savings are the same for Brother 9120CN toner as well. If you are worried about ordering your printer ink online, don't be. The best discount ink company will offer you incredible 24-hour shipping along free returns within 10 days if you are not 100% satisfied with your purchase. You may wonder why these companies are so confident in their products. All of the ink cartridges and toners come from only the best factories that carry an ISO-9001 certification. They are all manufactured to OEM specifications, but at a fraction of the cost. They can replace all of your ink or toner cartridges for Brother, HP, Epson, Canon, Lexmark and many more. With these savings, imagine what you can do with the extra money that you will have in your pocket buying refurbished ink and toner cartridges that come with an incredible guarantee. All of your printer cartridges are send via US Priority Mail or FedEx, so you are rest assured that your order will get to you quickly and undamaged. For even more savings, you can also purchase ink and toner yourself in large quantities through a reseller program, locking in even more savings on the highest quality toners and cartridges. You simply cannot go wrong with saving money.